How An Attorney Can Help You In A Workers Comp Claim | Law Offices of Robert Olkowitz, P.C. Many workers compensation claims proceed smoothly and without the need for legal assistance. But numerous issues can interfere with your ability to obtain the full benefits your valid claim deserves. It costs nothing to schedule an initial consultation with an experienced workers compensation lawyer at the Law Offices of Robert Olkowitz, P.C. After discussing your issues, we can tell you how we can help. Informal negotiations: In many cases, our attorneys can intercede on your behalf with your employer or the insurance company to help clear up misunderstandings that may be affecting the satisfactory outcome of your claim. After reviewing the reasons for claim reduction or denial, an informal approach may be all that is needed to supply additional information or anything else required to put your claim back on track. Formal action: In some cases, it is necessary to file a formal claim with the New Jersey Division of Workers Compensation. Although it is possible to pursue this action on your own, obtaining the results you need requires a thorough understanding of the specialized state workers compensation process, which has judges, court procedures, and rules of evidence that differ from other areas of practice. An attorney at the Law Offices of Robert Olkowitz, P.C. has the skills to work within the system toward helping obtain the results you need. Appeals: While decisions made within the system are considered binding, your attorney may recommend taking your case outside the New Jersey workers compensation system by filing an appeal with the Appellate Division of the Superior Court. Motions for medical and/or temporary benefits: If you need prompt medical treatment and temporary benefits, our attorneys can help by filing a motion that is heard before a judge of compensation within 30 days of filing. 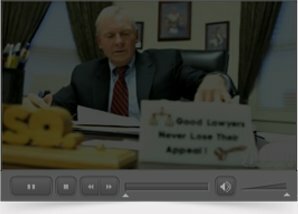 Third-party claims: In the event your on-the-job injury or illness is caused by the negligence of someone outside the workplace—as would be the case if you are injured by a defective product or due to the carelessness of someone contracted to do work at your workplace—our workers compensation attorneys are also personal injury attorneys who can help determine if any options are available for pursuing additional compensation for your claim. If you think that you have a workers compensation case, contact the Law Offices of Robert Olkowitz, P.C. to set up a free consultation. We only receive a fee if we obtain a recovery for you.